A summertime refreshment is available all day Sunday with the perfect price: free. 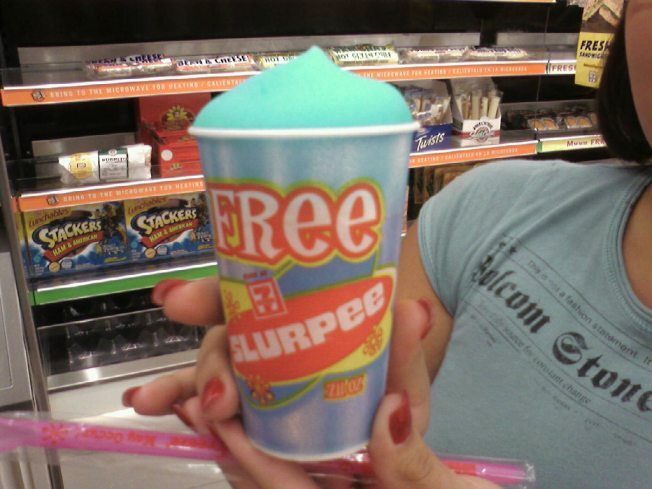 All 300 7-Eleven stores throughout the Bay Area are offering free slurpees all day in celebration of the corporations 83rd birthday. 7-Eleven does this every year on July 11. 7-Eleven is the world's largest convenience store. It started as an ice dock in suburban Dallas in 1927 and now has more than 38,000 stores in 16 countries.